Diablo 3 Beta Goes Live! The much awaited game from Blizzard Entertainment, Diablo 3, has just opened its doors for those lucky few who’ve got free invites to participate in the Diablo III beta test. 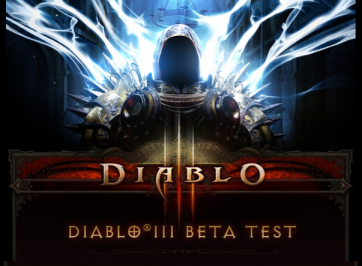 Players who have opted-in for the beta program via their Battle.net accounts can now download and install the Diablo 3 beta. This might be a good indication that the game will be releasing soon, hopefully this coming holidays. But sadly, Blizzard Entertainment chief executive Mike Morhaime said in the most recent discussion about the company’s earnings that the “company is still not committing to a 2011 release date”. I myself have been waiting for this game for ages just like the mens designer clothes that I’ve been wanting a famous brand to sell me for half the price (lol) and I certainly understand the grief of not having an invite for this beta testing program. I just hope that one day, I’ll be opening up an email from Blizzard containing a free beta license key. In the meantime, lets take a look at this Diablo 3 leaked Beta video after the break.